Congratulations to the December Fan of the Month contest winner, Angie from Plain City OH. Read Angie’s story below. How many years have you been a Rascal Flatts fan? For many years but I was hooked after my first concert in 2004!!! 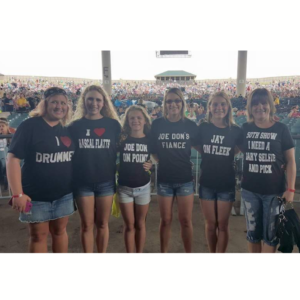 What’s one thing that sets you apart from other Rascal Flatts fans? I believe I really, truly am their biggest fan!! I owe them my life! Their music literally saved my life!!! Tell us your favorite Rascal Flatts related story: My life has been changed forever in many ways by their music!! The biggest has been the way it has allowed me and my daughters to bond over their music!! It allows all ages to come together to have a night of long lasting memories!! 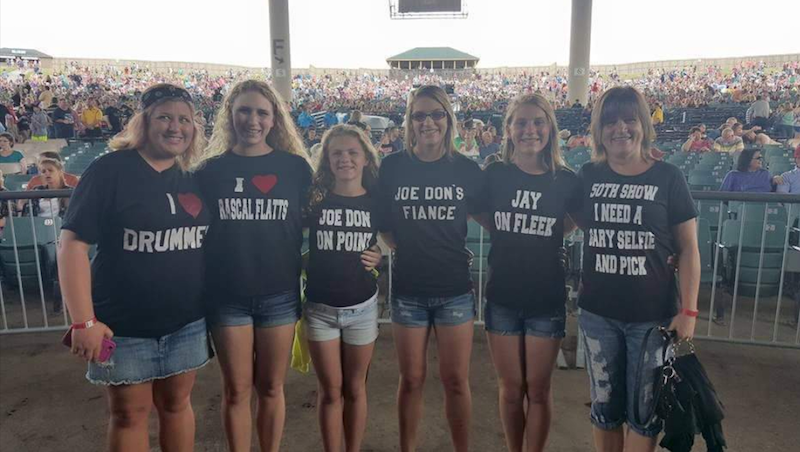 I even one year had shirts made and my girls so graciously wore them for me and with me!! It was the highlight of my year!! I look forward to trying to do this with them as often as I can. We are trying to make it a yearly ritual!!! Thanks Gary, Jay, and Joe Don for always making the night so special for me and my gang!! Can’t wait to do it again this year with you and of course my girls!! 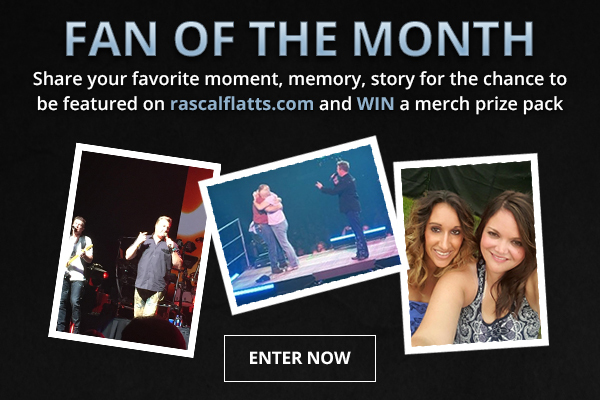 Congratulations go out to Angie, she will be receiving a Rascal Flatts prize pack!